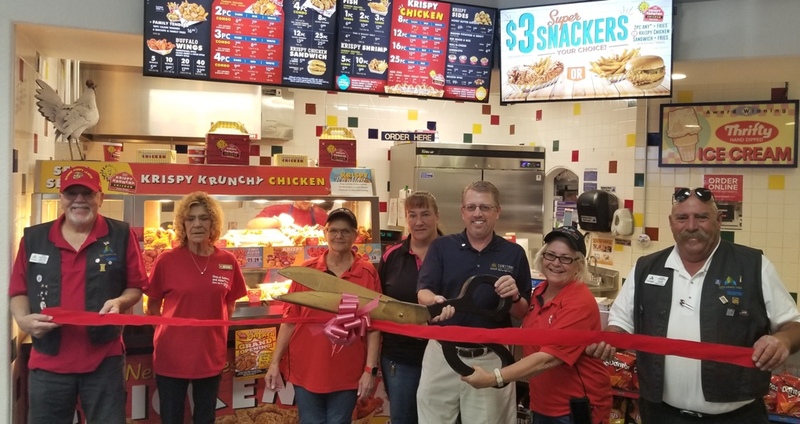 The Lake Havasu Area Chamber Ambassadors held a ribbon cutting ceremony for Motor & Boat Food and Fuel, located at 2890 Jamaica Blvd. 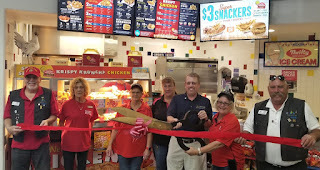 S., celebrating the Grand Opening of Krispy Krunchy Chicken. The chicken is fresh, never frozen. Sides include Honey Butter Biscuits, Jambalaya, Red Beans & Rice and more! Attending the ceremony from left to right were Gene Apedaile, Jerry Gray, Beverly King, Jennifer Bonward, Steve Ticknor, Susan Stocker and Lucky Atkinson.